Since the death of the President Hugo Chavez, Venezuela is experiencing a period of great tension, more and more divided into two blocks, pro-Chavez and opposition. An identity that was divided for years into the completely opposite visions of the world and of his own country. It is this moment, when the contradictions of chavism explode in the hands of the President Nicolas Maduro and the country lives in the balance between its possible futures. The 6th of December 2015 the opposition won the parliamentary election and gained the majority of the Assembly. They have the possibility to proceed for a mid-term recall referendum about President Maduro in 2016, as is guaranteed by the constitution, and Chavims could loose the Presidency after 17 years. 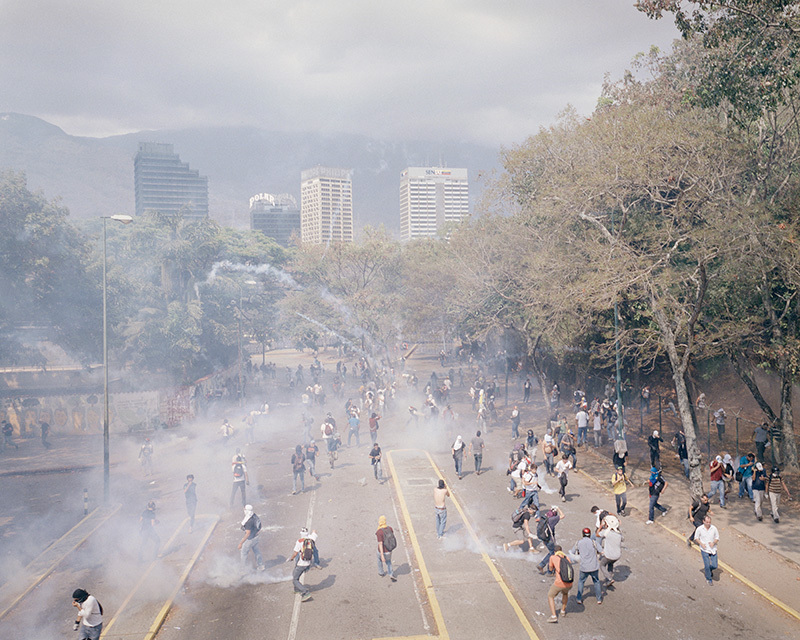 The series “The Two Halves” explores the daily life of the country in an extremely delicate moment for the democratic future of the Venezuelan society. A moment of transition, the end of a deep and radical political experience that has indelibly marked the history of the country in its positive aspects and negative ones. The uncertainty, the fragility of an identity that will become fully developed only by passing the strongest division in the Venezuelan people.